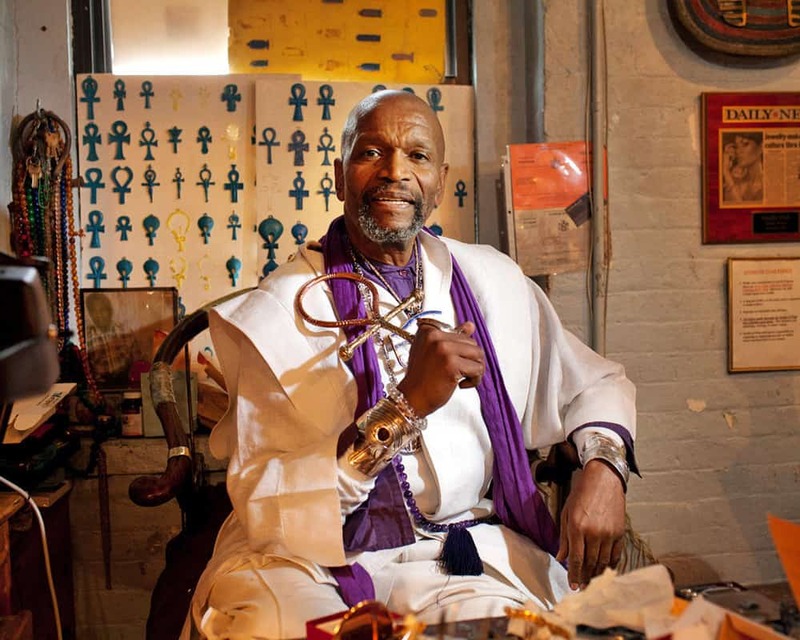 Baba Heru has spent most of his life studying Kemetic culture and was ordained years ago as a Kemetic Priest — the first in New York City. He knows that the ancient Egyptians were black and that the culture was a Nubian one native to sub-Saharan Africa — despite the cover stories put forth by more recent, envious cultures. His outfits and jewelry are inspired by hieroglyphics and objects from the tombs of the pharaohs. Baba Heru wears a specific color for each day of the week, to match its corresponding ancient Egyptian deity. Around his neck are heavy chains and pendants in the shape of a sacred falcon, and a medallion bearing the same sema-tawy symbol that adorned royal thrones. One of his big silver rings is in the shape of an ankh — the circle-topped cross commonly seen in images of Egyptian deities. “It is a powerful symbol of life,” he says. “When they dig up New York one day and find an ankh, they’ll know someone was on to the truth.” This truth, he maintains, would let African-Americans reconnect with their rightful ancient Egyptian heritage and their ancestors’ highly evolved principles and noble lineage. Baba takes groups of African-Americans to the pyramids and temples in Egypt and points out where in the ancient images he sees Nubian features. 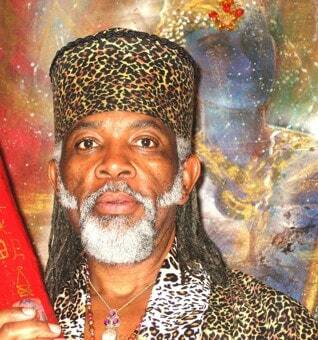 Baba Heru performs weddings, funeral services and Kemetic cosmological holiday services. He has bestowed his blessings and jewelry on the likes of the jazz bandleader Sun Ra, Judge Bruce Wright and celebrity clients like Wesley Snipes, Erykah Badu and Ben Vereen. Bearing five children with his first wife, his second wife, Queen Afua, is a priestess, healer and midwife who runs a Kemetic-themed wellness consultancy and writes books. Regarding his age, he says, “I’m vintage — I go back thousands of years.” In this lifetime he spent his childhood on a farm in Tortola, in the British Virgin Islands, and to British-run schools and to a Christian preacher father who told his son to investigate ancient Egypt. A jeweler of precious stones, you can check the beautiful adornments at The Shrine of Ptah. The High Priest of this Shrine, Baba Heru Ankh Ra Semajh Se Ptah says, “I’ve tried to challenge my people, to tell them they have a high culture and that if you realize you come from greatness, then you will be great again.” To that degree during the wake for Dr. Yosef Ben-Jochannan, Heru Ankh Ra Semahj SePtah, called for the formation of a MA’AT MILITIA. This MA’AT MILITIA will be armed with MA’AT ethical codes in order to address contemporary issues which plague our AfraKAmenta communities. This will be The 42 New Ethical KA’venants of MA’AT. Astarius Miraculii will share Vocal Harmonics for channeling the frequency of the God/Self, Ascended Masters, Angels and the Elemental Forces. 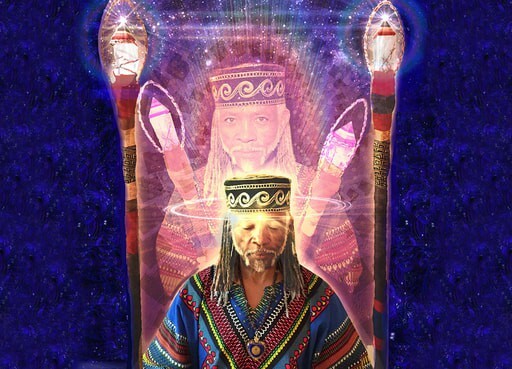 The Intention is to activate the Ascended Master Presence in each listener via Chakra Alignment Transmissions with the Didgeridoo, Vocal Harmonics and Ascension Wisdom. Astarius Miraculii is a sound healer, astrologer, author, poet and reiki master teacher who has been serving and empowering the community for more than 40 years. He has written two books which are “Miraculii Song of Ascension” and “Feast of the Zodiac”. He has also recorded 17 transformational CDs including the legendary “Spirit Rap”. He has been featured on radio, television and has done presentations and performances for schools, churches, correctional institutions and drug programs. His videos have been viewed on YouTube more than a three quarters of a million times. 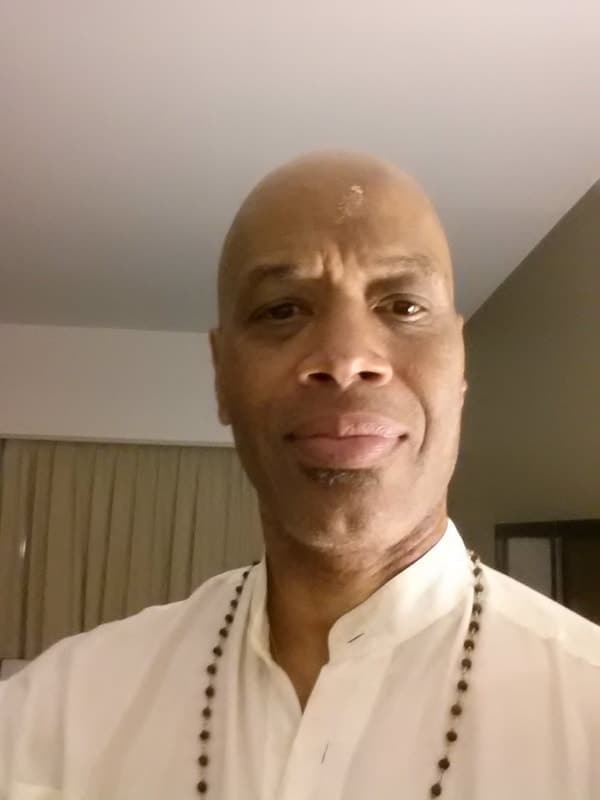 Basu Neter Aunkh is among the top Egyptian Yoga (A Kemetic System of Yoga) Certifiers in the United States. In just 15 years, he has emerged as a singular force in the expansion of Kemetic Yoga. At 41 years of age, he is one of the youngest authentic yoga masters on the planet and a rare mind in fusing ancient concepts with modern day living to help people lead a more effective and fulfilling life. He founded the longest continuous running yoga class in South Florida in 2001. 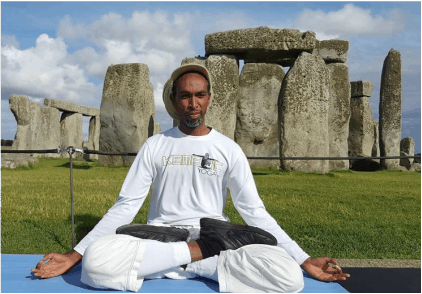 In 2008, under his company Natural Brilliance For Life, Basu developed a Kemetic Yoga certification and has now certified 200+ people worldwide including students in the U.S., Jamaica, Bahamas, Bermuda, Zambia, London and Germany. 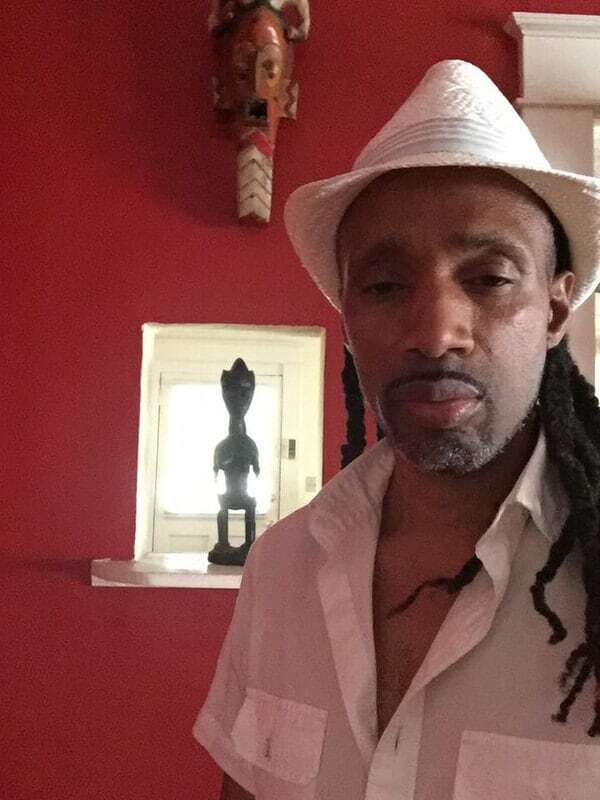 He recently began partnering with leading trainers to produce Afrikan Holistic Retreats to Jamaica that feature, The Black Genius Yoga of KMT Certifications, Kemetic Reiki Certifications, Kemetic Sound Healing Certification, Living Super Food Certification and Healing Black Relationships training. Just returning from Kemet in October 2016, Basu received his latest initiation from the Temple of Seti. 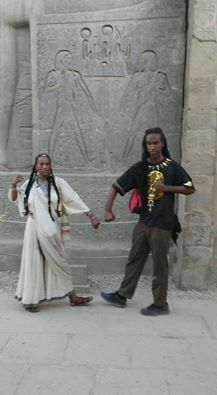 See the picture to the left of Tassili Ma’at and Basu doing yoga in the Temple. Led by Dr. Muata Ashby, Basu gained the new name Hapi or Neter Aunkh Hapi. As one of the leading voices in Afrikan reconstruction he presents a solution based model of bridging a glorious past to a victorious future. His mission is to empower a generation to change the world from within. Hapi is funny and outrageous, but at the same time very serious and meticulous in his efforts to bring about Afrikan awakening, holistic healing and power! “Autobiography of a Black Yogi” and “Wealth Secrets of the Soul: How to Be Wealthy. Healthy, Opulent and Wise”. His presentation will focus on Cosmic Consciousness, God Realization, Nirvana and the Art of Living Heaven on Earth Now. Eye am an Elderess, Queen Mother Goddess and High Priestess of my Life and a Goddess Temple Palace. Eye draw my inspirational power from the MOTHER GODDESS Portal know by many names to speak life into those who come to me. Eye was chosen as a Channel for Ancient Kemetic Dance of Life (ANKH) over four decades ago through my initiation from The House of Ra. Eye was granted access to metal jewelry arts from my connection with The Studio of Ptah and The Ra Ship. My magical alchemy jewelry talisman creations help to restore the inner and outer Goddess. My journey on my life path has granted the opening of many gifts and offerings through my eclectic tapestry of Healing Arts. Eye am a Sacred Soul Messenger Reader and Healer. 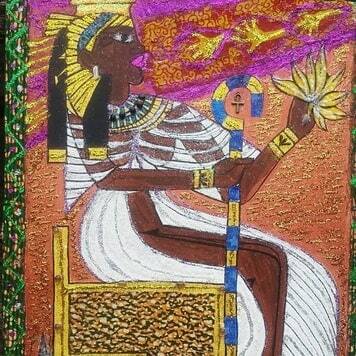 Eye utilize and share (heka) words of power through meditation visualization affirmation poetry and chants and song. Ra Sekhi Kemetic Reiki is another medium eye practice. Eye do veve and henna art healings. Eye offer guidance in Sacred Sensuality. Eye am currently guided to offer a program AUSET RESTORATION Readings and classes for the continual empowerment of the youth through healings of the Mother. My greatest power flows empowering the youth. 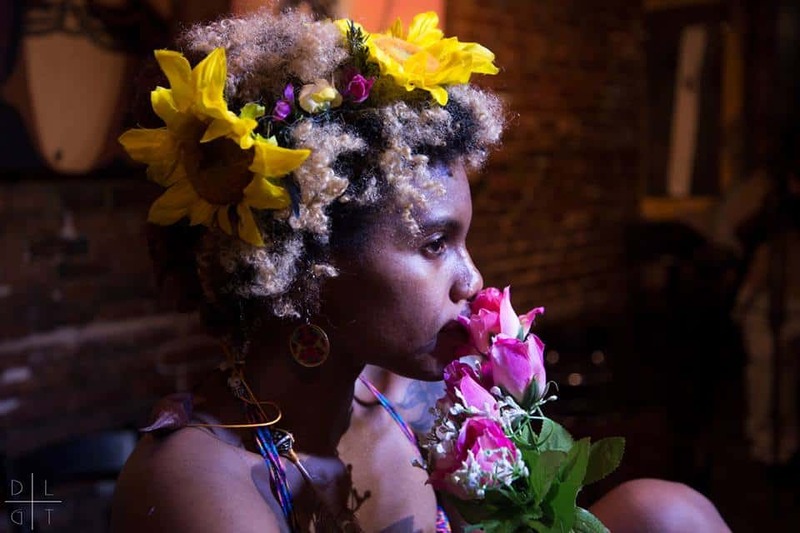 I am available for performances… lectures… group and private sessions with love. 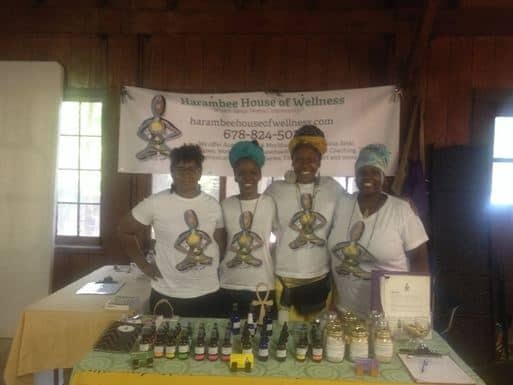 Harambee House of Wellness is an upcoming wellness center, whose partners, and practitioners are all professionals in the holistic wellness field. They are combining efforts to offer several holistic wellness services under one roof. The mission of Harambee House of Wellness is to pull families and communities together in Sacred Union, to assist and encourage healing, sustainability, oneness, enlightenment, and overall whole-self wellness by offering a plethora of alternative healing techniques and supportive resources for the community. Born and raised in Atlanta, GA, he went to college for Information Technology. In 2009, a series of unfortunate events led him to the house of a Babalawo or priest of African art, science and technology. What followed this meeting would bring the seeds of change that took root and changed Ogundiran’s life forever. 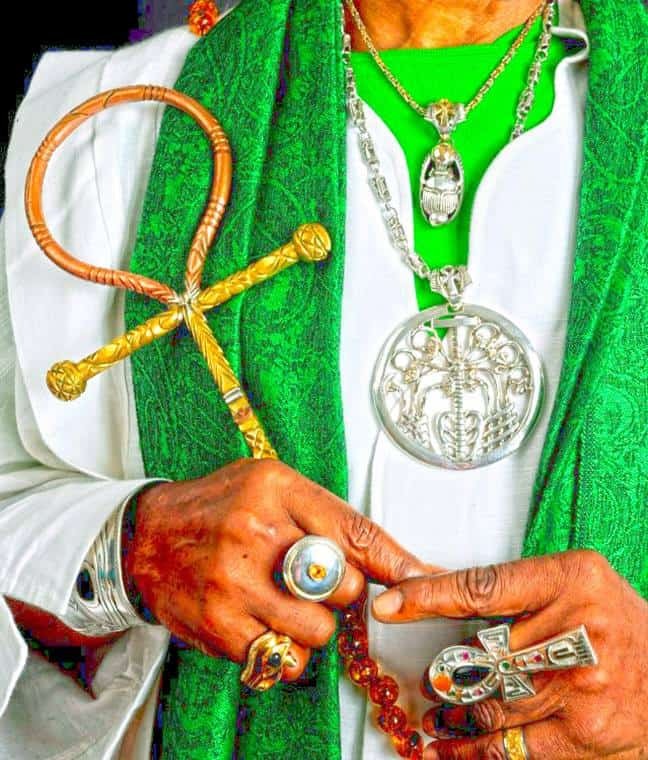 The priest invited him to study the ancient teachings that opened the roads for Ogundiran to initiate or to begin serving the mind, body, and spirit of the people. 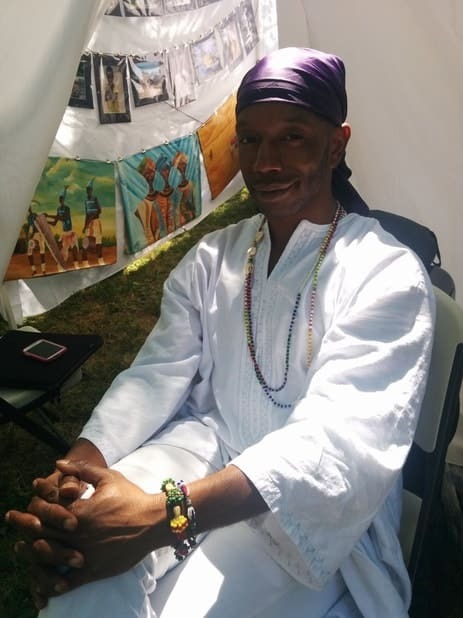 As a result of the holistic health practices revealed in the traditions of his Ancestors, Ogundiran has lost well over 160 pounds and is currently building a cultural center in the metro Atlanta area to give the thousands of displaced Africans in this area an opportunity to experience the arts, science, and technology of Africa. Mr. Ogunlana will be providing holistic health examinations using the African science and technology known in America as Vodu. This name literally means spirit whose roots start at the mouth of the nile and spans the content, through the Atlantic Ocean and into the Americas. Vodun, as a working definition, can be described as the active process of observing, analyzing, and interpreting ourselves, nature, and the forces therein to perceive the function and character of the invisible forces of the universe. Doing so, will equips us to better serve ourselves, nature, and the unseen forces who are ultimately responsible for life as we know it. Shawn “Stilts” Goldman, RM, WMA aka “Shaman Hands” is a certified natural healer, computer scientist, former high school teacher, and a registered metaphysician and lifetime member of the World Metaphysical Association. During college, his journey quickly turned from a focus on the engineering of programming languages, communicating with computers and designing software programs to a focus on holistic methods of healing due to his own health challenges. Perhaps the most remarkable of these challenges was a severe case of kidney stone episodes that lasted from 2001 to 2008, which conventional western medicine was unable to solve. With several years of independent research in order to find holistic tools and solutions, Stilts found a variety of successful non-invasive methods to use on himself. Energy Healing was shown to be the most effective at instant pain reduction, pain elimination, and accelerated healing. In coming across many different approaches to Energy Healing, Stilts has combined his knowledge of software engineering with the understanding that our body is a computer itself – complete with its own version of software. He now engineers this “software body” by deprogramming and reprogramming the energetic organs and their systems, resulting in accelerated healing by addressing this “source code anatomy” that is responsible for any and all disharmony that can exist in the physical body! 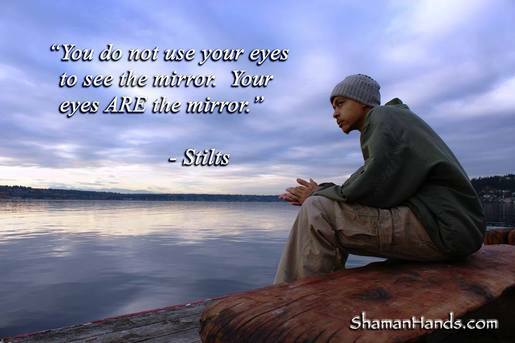 To schedule your consultation, a Health Reading, an Energy Healing session, and/or Energetic Surgery with Stilts, log onto ShamanHands.com today! ​LaToya Thurman, RM, WMA (also known professionally as Chrysalis) is an oracle, crystal reiki master, bio resonance specialist, yoga instructor, holistic health practitioner, and teacher. She first became aware of her natural gifts as early as 10 years old and in recent years has recognized her calling as a healing arts facilitator. Chrysalis graduated from California State University Long Beach with a bachelor of arts in Political Science and went on to work in the nonprofit sector as a housing counselor for six years. In 2012 Chrysalis made the decision to leave the traditional workforce and dedicate her life to the healing arts. Chrysalis has since studied with several teachers in the fields of crystal science, yoga, meditation, energy healing, and holistic health. 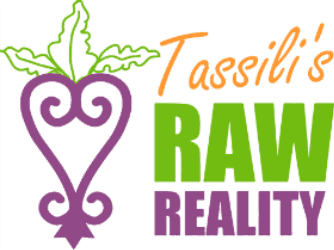 She is a certified level 3 reiki master (Usui school), a Registered Metaphysician, and member of the World Metaphysical Association and Healers Unite. Her workshops and classes are accredited by the World Metaphysical Association. 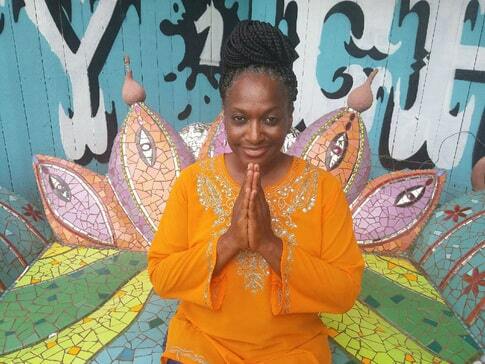 Chrysalis owns and operates her own company, Therapeutic Vibrations LLC, where she offers reiki, yoga, meditation, oracle readings, holistic, classes and private consultations. Chrysalis’ healing practice is set on the foundation of education, empowerment, honesty, and integrity. She believes wholeheartedly that every human deserves a life of total wellness. Her purpose is to support those on the path to Self- Discovery ~ assisting them in creating the life they want. 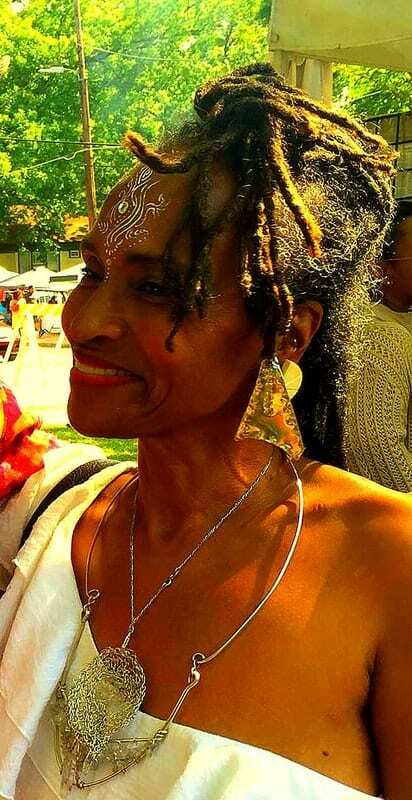 Carolyn Renée Khemra Ast–is the granddaughter of Ms. Gussie, an empath; the daughter of Yoruba priestess, Iye Tahirah, and niece of Priestess Miriam Chamani, the Mambo (Mother/Priestess) and co-founder of the New Orleans Voodoo Spiritual Temple. A healer in her own right, Carolyn has spent the last decade developing her healing gifts with master healers/teachers–Dr. Akua Gray, Queen Afua, and Dr. Llaila Afrika. She has studied astrology and psychic development with Psychic Cathy Burroughs, of Psychic Solutions, and is also a teaching artist–writer and singer, working with young women in juvenile detention centers, refugee communities, and from foster care to write and perform their own stories. 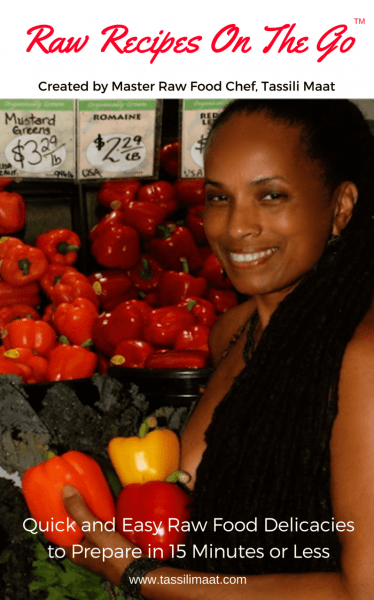 Carolyn Renée is committed to using the healing and creative arts to create positive social change, and to live a life of peace and value creation. At The Natural Mystic Fair, Carolyn will be sharing the principles and practices of InterPlay, which is a great tool for tapping into the body’s wisdom. Also, she will offer Angel Readings, and share how to use pendulums to get answers to questions. ​ Since childhood, I have had the gifts of energetically tuning into people and astral traveling. I have always known in my heart that I wanted to help heal people in any way that I could, no matter what area of life. After enjoying a professional career for over 16 years, I was spiritually awakened and fully acknowledged my gifts of Clairvoyance, Intuitive, Energy Balancing/Healing, Channeling, Autonomic Writing, and Empathic abilities. I wish to share with you, your special message(s) for your highest spiritual attunement. From a most loving and peaceful place, please allow me to help you find the Perfection that is already you. You have the power within you to do whatever you dream in life. BALASHANGE is an artist who brings a very unique and uplifting voice to the art world. To further concentrate on the beat of her own drum and quiet the constant media influence in her consciousness, she made the bold move with her young family to Ghana, W. Africa for a full decade. This invaluable experience enabled her to completely submerse herself in spiritual studies and practices to include focused motherhood, homeschooling, Kabbalah, yoga, meditation, trancework, chi gong, tai chi, the I-Ching oracles, feng shui, African tradition and ritual, Native American sweat lodge and ceremony, astrology, homebirth/ waterbirth, Hindu/ Dravidian words of power, sacred dance, energy medicine, alternative and holistic healing methods, crystal work, magic and community organizing. Her cre8tive expressions are a celebration and reflection of this personal journey and a clear communication of her belief in the power of women and traditional culture. Balashange’s works are bright, bold images incorporating ancient cultural symbolism from all over the world. The hope is to re-awaken our ancestral memory of a holistic, communal way of life where everyone and everything matters again. They are mixed media pieces with acrylic painting as the foundation, and natural materials like gemstones and shells, glitter and fabrics. 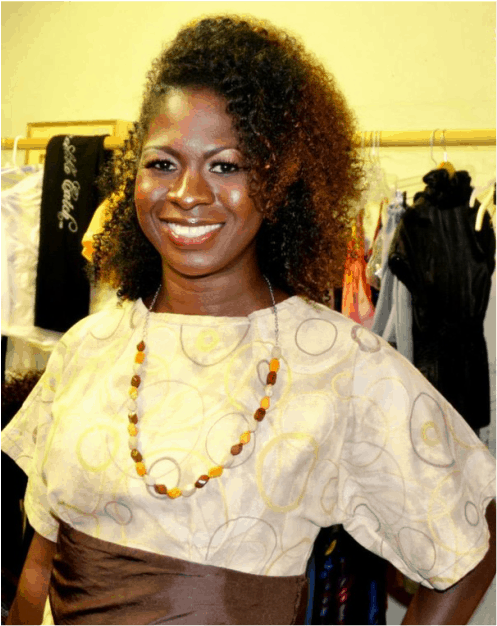 Most of the pieces in the SACRED CO-CRE8IONS exhibit have fabrics draped at the base to add a certain feminine quality. They were all created with the science of Feng shui and color balance in mind to raise the vibration of any environment in which they are placed. The purpose in adding glitter is to increase the amount of light in the space and the magical feeling for the viewer. 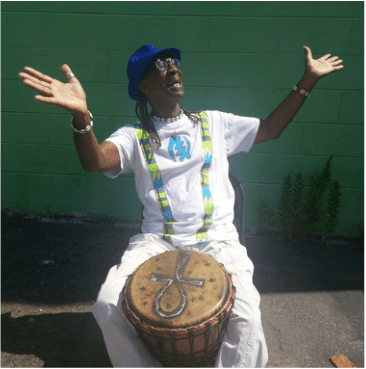 Yoga Qi-Gong & Tai-Chi instructor, community activist, conga drummer, and natural foods specialist, Baba “Yoga” Bey has always been a trendsetter. Re-Born Quy-Yuim Baba “Yoga” Bey, July 11, 1944, in Harlem, New York, he is highly respected by the community and his peers. Baba has been a wellness practitioner for over 40 years and an instructor for more than 30 of those 40 years. An eccentric black male, born in a non-traditional family facing worldly stressors Baba sought after a place to find inner peace. Divine Soul Wholistic healing, is that place!! In 1999 Baba provided Yoga Qi-Gong and Tai-Chi classes with a team of concern teachers from Atlanta. The team spent six weeks at the Providence Baptist Church in Accra, Ghana West Africa doing community outreach and educational wellness. He is certified as a Qi-Gong instructor of the Erie-Mei System of Tibet China. 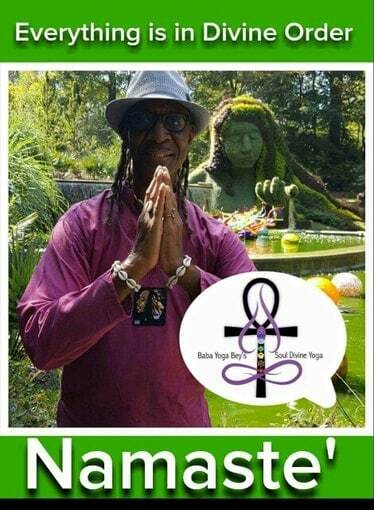 He is also a skilled master drummer and performed in the 1996 Olympic opening and closing ceremonies in Atlanta, GA. Baba is a former yoga instructor and strength management instructor with the Atlanta Clinic of Preventative Medicine under the direction of Dr. William Richardson. In 2009, Baba became a certified Tai-Chi instructor with the Arthritis Foundation for America. He was a water dance instructor and a water Tai-Chi instructor at Lou Walker Senior Adult Center in Lithonia, GA. Furthermore, he is a wellness outreach educator for the National Black Men’s Health Network (NBMHN) in Atlanta, GA for over 20 years. On January 16, 2009, Baba became Chairman of the Board for the National Black Men’s Health Network. Today, he continues to dedicate himself to carving out new landmarks in holistic health and healing based on science and ancient healing arts. With emphasis on the 21st Century “State of the Arts” of wellness, herbs, vegetables, and flower gardens. “GO GREEN! !” At the Natural Mystic Fair Baba Yoga Bey will be offering healing through the use of the djembe drum. Sound has the ability to elicit many emotions and can create states of deep relaxation within the body. Sound therapy has been used for millennia and Tibetan Singing Bowls, as one aspect of sound therapy, have been used in meditation practices, sleep therapy sessions, and to simply calm a busy mind. 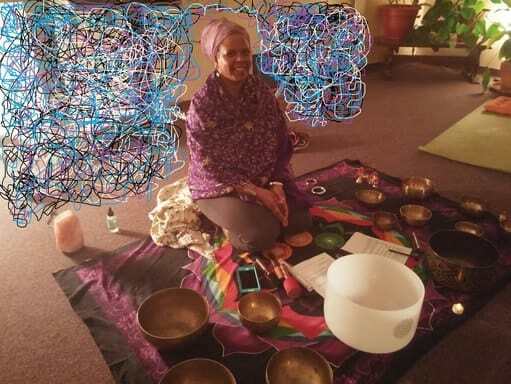 ​April J. Taylor, a public health practitioner and a certified Vibrational Sound Therapist, will conduct Sacred Sound Sessions using Tibetan and Crystal singing bowls to relax the body, mind and open the heart. The Iconic Wellness Department of Natural Healing & Livity will be @ the NMF!! 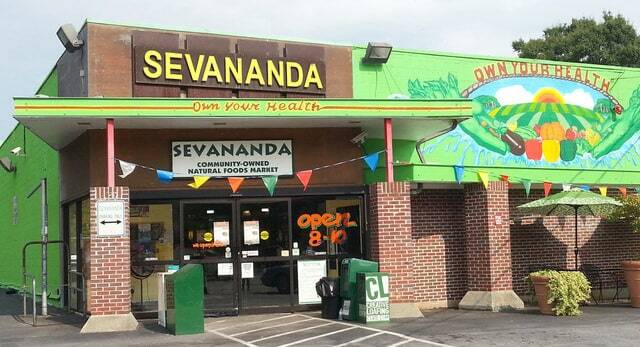 Sevananda, Atlanta’s consumer-owned natural foods market, has provided quality whole foods and outstanding community involvement to Atlanta and surrounding cities throughout Georgia, and also provides a natural source of healthy, local, and organic foods. Sevananda’s Wellness Department is renowned for having the largest selection of bulk herbs and spices in the Southeast. They also have a large variety of Health & Beauty products, candles, books and incense. With an Organic Salad Bar and a Hot Bar and Deli, what really makes this gem in Little Five Points unique is the fact that it is a totally Vegan/Vegetarian Market! There are only three strictly vegetarian markets in the U.S. and the other two are on the West Coast. If you’re looking for the best in whole and natural foods, herbs, vitamins and supplements, Sevananda is the right place, selling only the highest quality whole and natural foods. Food integrity is what they live by, and what Sevananda has been all about from the beginning. Find out more about the food integrity difference at Sevananda. Welcome to a very different kind of market. Welcome to Sevananda! At the Natural Mystic Fair Sevananda will be bringing the iconic Wellness Department! Like Sevananda on Facebook & Instagram and follow Sevananda on Twitter!! ​Like branches that grow from a tree, massage has grown to become a new branch on my tree of service to others. A branch that’s a beautiful extension to my personal training that began in 1993. What’s so amazing for me is the way the study of massage has opened new door ways for me to expand my services for clients. I graduated from Gwinnett Collage of Massage Therapy and gained my License in Georgia all in 2011. The human body never ceases to amaze me with so many systems to tap into that bring about its healing ability. And how many of the systems of healing from long ago are resurfacing now with more and more, long overdue support from modern medicine. It’s a very exciting time to be on this path and I’m glad I chose massage therapy as a modality. Along with my license for massage therapy I received in 2011 that includes certifications in Neuromuscular Therapy, Reflexology, and Swedish massage. I am also very interested and training in Qigong and TCM. But the most pleasant surprise has been the use of hot stones along with acupressure. They just fit like a glove with me and have become my specialty. I love working with them and seeing the positive reactions from those that experience one of my sessions using hot stone massage and or acupressure. I became a vegetarian at a young age in the 70’s guided by other family members my mother and sister, and some close friends. It’s been one of the best decisions I’ve made in my life and I’m so thankful for having the guidance. And again this life style plays an important role in my service to others as I am an example of the benefits of healthy eating and life style. ​Mindful Methods was conceived out of a growing response of change in consumer perception about how businesses develop products and generate revenue from their product offerings. We believe now, more than ever, consumers are not only interested in a high quality product, but also in how these products affect us, our local community and environment we live in. Our response was to form a business that was built around the concept of creating natural wholesome and mindful products that would appeal to conscious consumers, while sharing our growth and revenue with the community we live in and interact with daily. With that in mind we set forth and created Mindful Methods: a company that is focused in creating products that appeal to socially conscious consumers while donating a portion of our growth to various non-profit foundations and organizations that continually provide national and international help for the welfare of society. 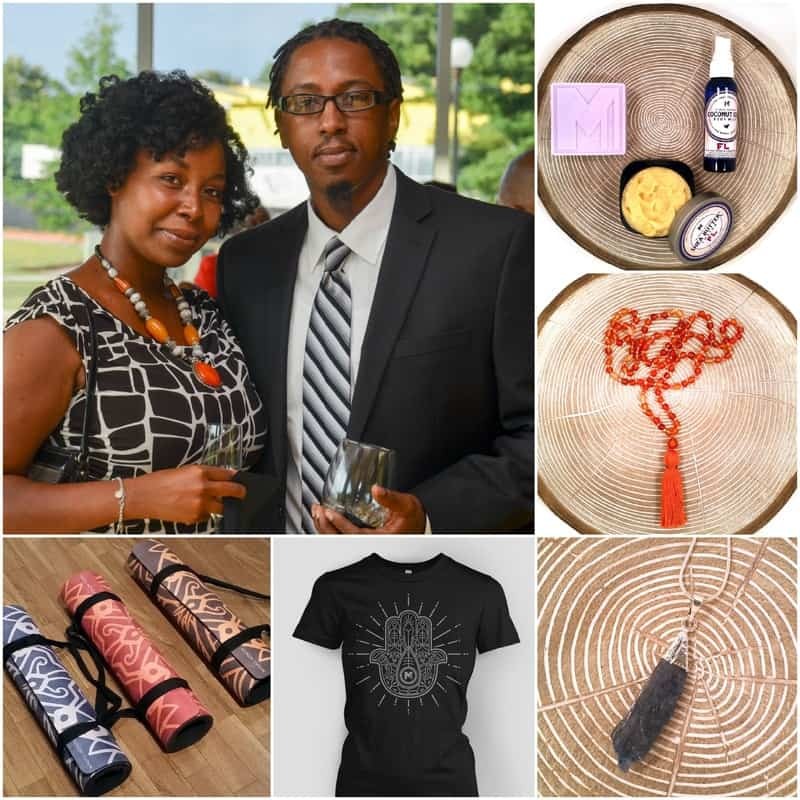 At NMF we will be vending Gemstone Jewelry, Organic Cotton Apparel, natural rubber yoga mats and Handmade Bath & Body products.